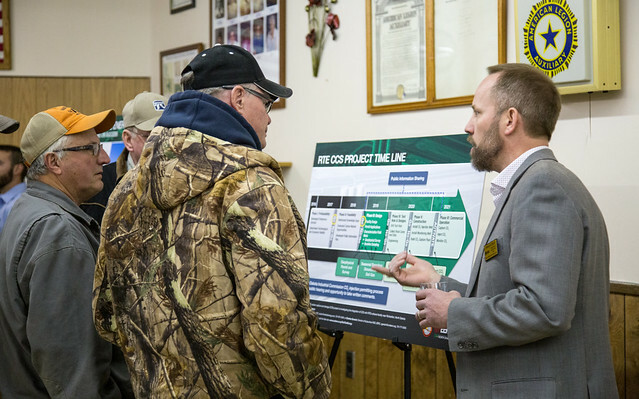 RICHARDTON, N.D. – Red Trail Energy, LLC (RTE) recently hosted an open house event at the American Legion in Richardton. Approximately 40 community members attended. 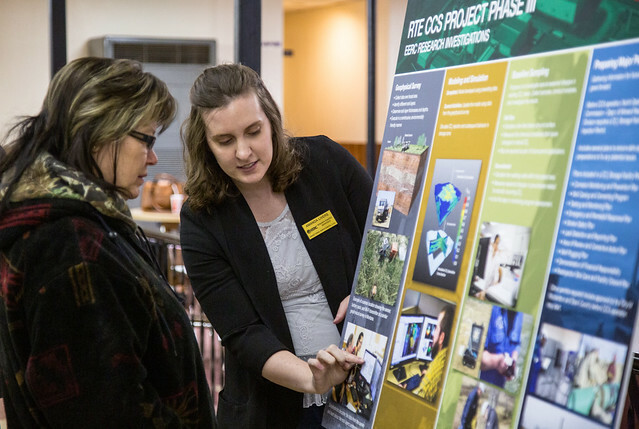 Scientists and engineers from the University of North Dakota (UND) Energy & Environmental Research Center (EERC) joined RTE staff and provided information to attendees on a local carbon capture and storage project. EERC Director of Subsurface R & D Charles Gorecki discusses the project with community members. With the support of the North Dakota Industrial Commission (NDIC) and the U.S. Department of Energy (DOE), RTE is investigating carbon capture, utilization, and storage (CCUS) technology as a way to reduce the carbon dioxide emissions associated with ethanol production. Reducing emissions enables energy producers to sell ethanol to states that have low-carbon fuel programs, such as California. CCUS technology captures and permanently stores carbon dioxide emissions. EERC Geophysicist Amanda Livers-Douglas explains CCUS. The EERC is pleased to welcome Alexis Thompson to the Financial Services Team as an Accountant. Alexis will provide accounting and business support for the EERC and accounting, processing, and reporting for the EERC Foundation. “I’ve heard wonderful things from other UND employees about how great it is to work here,” said Alexis. Alexis holds a Bachelor of Science degree in Accounting from the University of Minnesota – Crookston Prior to working at the EERC, Alexis worked at Dee Inc. as an Accountant/Corporate Controller. 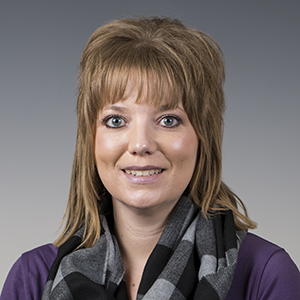 She said she was drawn to this position at the EERC because it gives her the chance to be a part of UND and the EERC “family” as well as work in a different area of accounting. “I’ve spent the past 12.5 years working in corporate accounting in a manufacturing setting, this new position allows me to look at accounting in a whole new way which is very exciting to me. I like many things about my new job and am taking advantage of all the new opportunities to broaden my accounting knowledge,” said Alexis. Originally from Greenbush, Minnesota Alexis has lived in Crookston since college with her husband, Tyler. Alexis enjoys crafting, embroidering, cross-stitching, gardening, and making homemade bread. For outdoor fun, she likes to four-wheel. Alexis also enjoys hockey and rooting for the Wild and UND Fighting Hawks. The EERC is pleased to welcome Arelys Salazar to the EERC team as a Reservoir Engineer where she will be developing geophysical computer models and dynamic simulations of the subsurface to determine the long-term fate of produced/injected fluids, such as hydrocarbons, CO2 storage, and brine. Arelys holds a Master’s of Science degree in Petroleum Engineering from the University of Wyoming. She also earned a Specialist in Integrated Reservoir Management degree and a Bachelor’s of Science degree in Chemistry from the Universidad Central de Venezuela, Caracas, Venezuela. 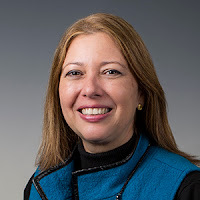 Arelys comes to the EERC with 18 years of industry and academic experience, having taught chemistry at the University of Carabobo, Venezuela and worked for the Venezuelan Institute of Petroleum Technology; PVDSA Intevep and for ConocoPhillips and Halliburton. “The EERC is known for its innovation, and that drew me to this position,” said Arelys, who credits her work at PVDSA Intevep for fostering her passion for the oil and gas field. “It was an honor to work there, to innovate, to learn something new every day, and to learn from people with so many different backgrounds,” she said. Her principal areas of interest and expertise includes reservoir characterization, production forecasting and optimization, enhanced oil recovery (EOR) technologies. A native of Caracas, Venezuela, Arelys moved to the United States in 2007. She met her husband, an economist and quality manager, while they were both living in Houston. Arelys and her husband enjoy watching soccer and baseball. Arelys likes watching documentaries and loves a good superhero movie. 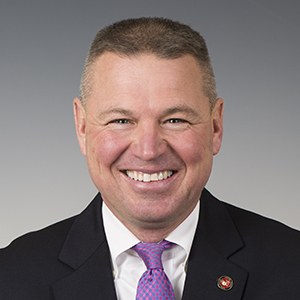 GRAND FORKS – The Energy & Environmental Research Center (EERC) congratulates Brian Kalk, Director of Energy Systems Development, Design, and Operations, who has been named Executive Director for NDSU’s Research and Technology Park. Kalk worked at the EERC for two years, and represented the organization on several state and national committees. Kalk was instrumental in establishing a number of internal and external initiatives, including a series of goals and objectives that were ultimately extremely influential in the development of Governor Burgum’s own goals for North Dakota and its vibrant energy and agricultural industries. Kalk’s final day is April 30. The EERC will fill the position as soon as possible.